Why do adults love yoga so much? It could be due to the fact that it keeps us healthy and limber but it is also a wonderful way to relieve stress; and who has more stress in life than adults? But despite all that children can benefit from yoga and enjoy it just as much as any adult! So you see allowing your child to practice yoga is a wonderful thing but practicing yoga WITH your child is even better! Set aside some time each day and have fun connecting with your family as you create healthier bodies by practicing the wonderful art of yoga. 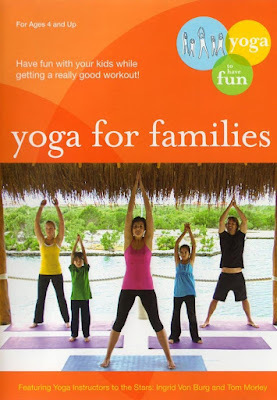 If you would like to develop a family yoga time, here are 6 DVDs with great ratings and reviews from Amazon. These DVDs will guide you and show you everything you need to do! All DVD descriptions are from Amazon. This DVD features three separate classes: beginner, intermediate and advanced and over 100 poses. 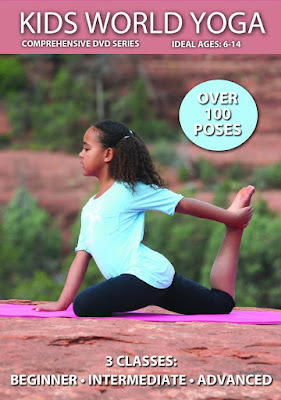 Ideal ages 6 -14, these 3 yoga classes are led by 10 kid-yogis in the stunning setting of Sedona, AZ. This DVD is geared towards kids, but are a great workout for the entire family. Have fun with your kids while getting a really good workout with Yoga Instructors to the Stars Ingrid Von Burg and Tom Morley. For ages 4 and up. Special Features include a choice of music for the dynamic sections: Relaxing/Meditative or High Energy/Silly. Filmed in high definition in Cancun. This video features a certified kids yoga instructor and her yoga mat. There are no children in this DVD. While children love to follow other children, they also love one-on-one attention! 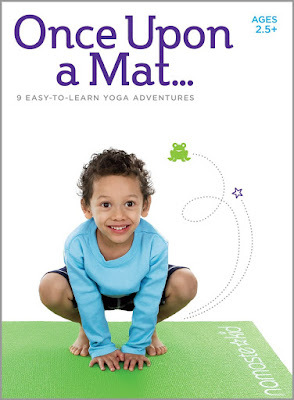 Once Upon a Mat gives your child a personal yoga instructor, who speaks directly to your child for the entire DVD. 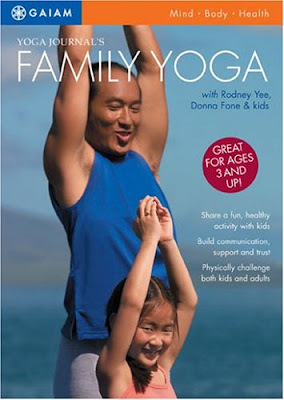 Acclaimed yoga instructor Rodney Yee and his wife, Donna Fone, share their family yoga practice in a genuine yet playful manner from which all ages may benefit. Family Yoga provides parents with a meaningful way to integrate their own yoga practice with precious family time. A great family program for parents seeking connection and balance for their children in a busy world. Family Acro Yoga is a playful blend of partner yoga and acrobatics. 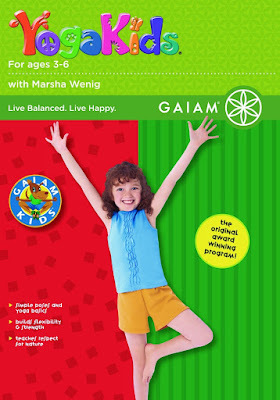 Program includes: Partner Poses, mutually benefiting both partners and Flying Poses, a highlight for kids. It is great for all ages 3 and up. Family Acro Yoga is a time to bond as a family, to play and enjoy physical contact. It is all about heart connection. Family Acro Yoga develops strength, flexibility, balance, concentration, trust, presence, and joy. This 45-minute instructional class incorporates 27 poses and a great relaxation. It is clearly narrated, easy to follow and a lot of fun. Join in and sing along as four energetic youngsters show your child how fun yoga can be! Taking cues from animals, trees and the nature of the world, these curious 3 to 6 year-olds follow children¹s yoga expert Marsha Wenig as she guides creatively adapted yoga basics set to playful original songs. Hey yoga fans! Before you leave, check this out! 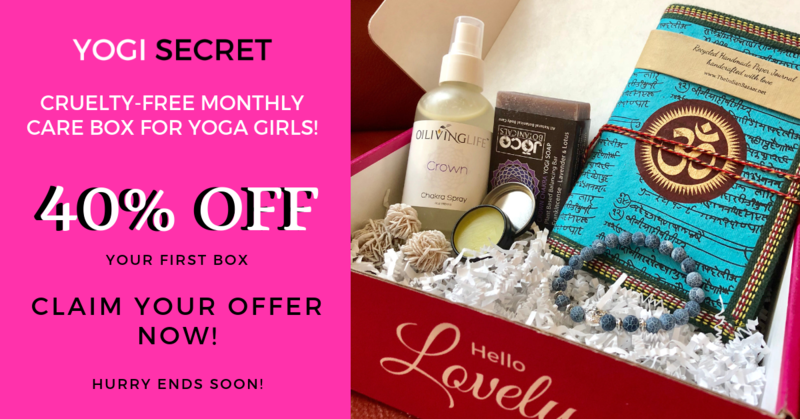 Get a monthly subscription box of 5-7 full-size, hand curated, all natural & cruelty free yoga items delivered to your door!